Great little cut sheet DP for the Andrea Deck. 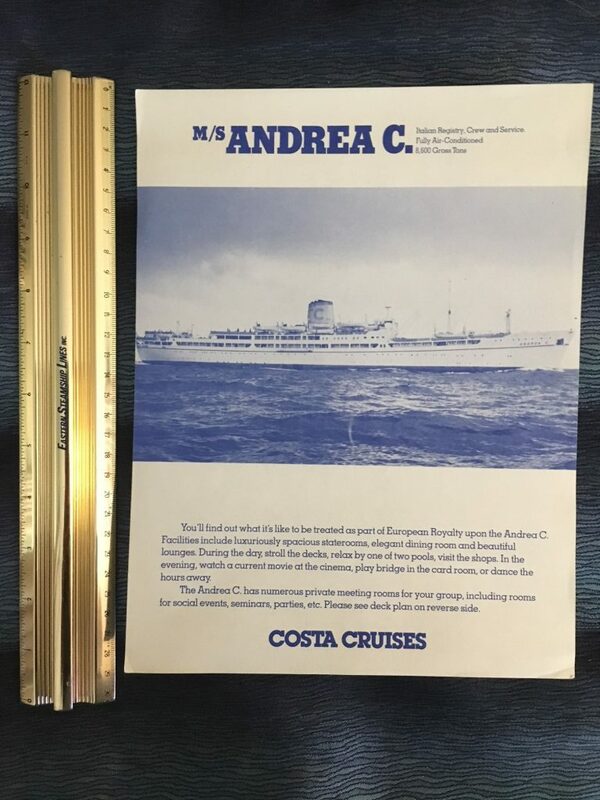 One of Costas oldest ships … she sailed for many years. This was probably meant to be inserted into an Information folder for the ship.